YUCK! Almost sounds as good as figgy pudding (I actually have no idea what figgy pudding is, but it sounds horrible). So, let's make a better plan if not for Christmas 2014, then for Christmas 2015 for sure! The key to keeping the sanity in the Williams' house when it comes to Christmas shopping is having a plan. We keep a very simple spreadsheet in DropBox that we can both access where we list who we need to shop for, how much we have budgeted, ideas we gather throughout the year, and how much we actually spent once the gifts are bought. We try to operate in our strengths as well. I come up with a decent idea for a gift, and Kelsey hunts down the best deal. She has some mad online shopping skills. Last year, I think we bought one gift in the store and the rest online! Stick to your plan, get creative, but don't overspend. Tis' the season for giving, but Tis' NOT the season to spend more than you intend to. If you find yourself in a pickle, wanting to buy one more stocking stuffer for your second Uncle's great nephew, check that list again and see if that's really in your plan? Giving is a great thing, but only if it's within your budget. I really don't have a whole lot of great advice for Black Friday shopping. I guess the early bird gets the worm, right? I've never taken part in the festivities. Remember, the retail store's purpose is to make money. So they bring in a few crazy deals, knowing that you will be in their store and will likely walk out with more than you bargained for (pun intended). So, be smart, don't let them trick you into buying more than you need to. We subscribe via email to our favorite places to shop and keep a special eye on the deals this time of year. We're typically able to score great deals by waiting for Cyber Monday and ordering online. Our philosophy is based on neither of us wanting to fight the crowds. For those extra tough folks to buy for, a gift card is always an option. Use a site like Gift Card Rescue to buy gift cards up to 35% off! The options are sometimes limited, but if you create an account and are patient, you can score a sweet deal. However you decide to complete your Christmas shopping, just remember the real reason for the season (the birth of our Savior). It's fun to celebrate and have a good time, but do it with a plan and purpose. P.S. We put up our Christmas tree a week ago, and Christmas music has been playing ever since. It helps take the edge off the frigid temps and slippery roads we get here in the midwest. 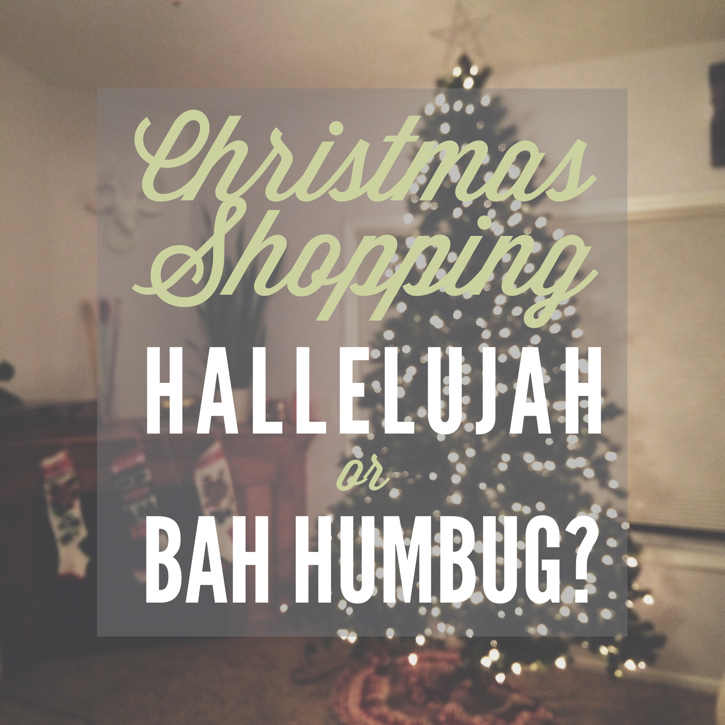 What's your plan for getting your Christmas shopping done this year?